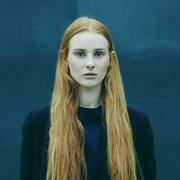 Celia Pavey (born 23 January 1994), known professionally as Vera Blue, is a Sydney-based singer-songwriter signed with Mercury Records Australia, which is part of Universal Music Australia. Her folk-inspired album This Music peaked at number 14 on the Australian ARIA Charts in July 2013. Pavey sings, plays the guitar and the violin.She placed third in season 2 of The Voice Australia.